Right, so, Novell is up for sale and there’s a couple dozen potential buyers. Microsoft is not going to buy Novell. Novell has served their purpose to Microsoft, which is basically acting as a lap-dog and providing Microsoft with good PR while simultaneously dividing and hurting the FLOSS community. Furthermore, Microsoft wants nothing to do directly with selling Linux. Novell served as a DMZ between the GPL and Microsoft, and staring across a DMZ is about as close to Linux as Microsoft wants to get. Microsoft is not about to get into the business of directly distributing/selling/supporting Linux. OpenSUSE is greatly diminished under this scenario: as a community-only distro and without corporate backing, it’s looking at the bottom end of the Top 10 List. With Novell’s stained name out of the picture, OpenSUSE may become acceptable to people who actually care about FLOSS, so I won’t count it out of the picture. Team Apologista takes a major hit, but sadly probably not a finishing blow. I wouldn’t be surprised to see a Mono-based spinoff. There’s money to be made there and Lord knows Team Apologista has some players with personal, professional and emotional investment in Mono that guarantees they won’t be giving up that fight. Continuing with our look into OpenSuSE, we examine YaST. One of the best things going for OpenSuSE (and SuSE as well) is their take on the tried and true “control panal” YaST. YaST is, quite literally, a one-stop-shop for configuring Linux. Among the cornucopia of Linux configuration tools, YaST might very well be the top of the heap. It’s really that good. And with reason. YaST has been around for a long, long time, so it’s had plenty of time to mature. One must also wonder what Novell’s situation will mean to the SCO case. Pelican is being brought up again (for background see [1, 2, 3, 4, 5, 6, 7, 8]) and it seems like SCO will continue fighting against Novell without much interference. 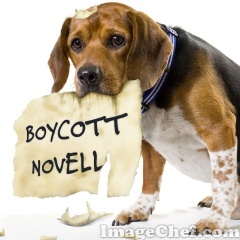 What would happen if Novell’s new owner decided not to bother with the SCO case anymore? Veriato, 64, is a former Texas A&M standout who won the 2001 Novell Utah Showdown on the Champions Tour. The ex-head pro at Onion Creek Country Club in Austin was the 1996 PGA Senior Club Professional Player of the Year. Equally enthusiastic about cloud computing was Randi Levin, CTO of Los Angeles, who ditched the city’s Novell collaboration software for Google’s enterprise solution last year — a decision, she says, that will save the city $5 million “in cash” over three to five years (the cost of the contract is $7.25 million over five years). Prior to switching to Google, the Los Angeles Information Technology Agency (ITA) was using Novell GroupWise 7, but citizens complained about the email system and calendaring — and the city was dealing with a budget crisis.